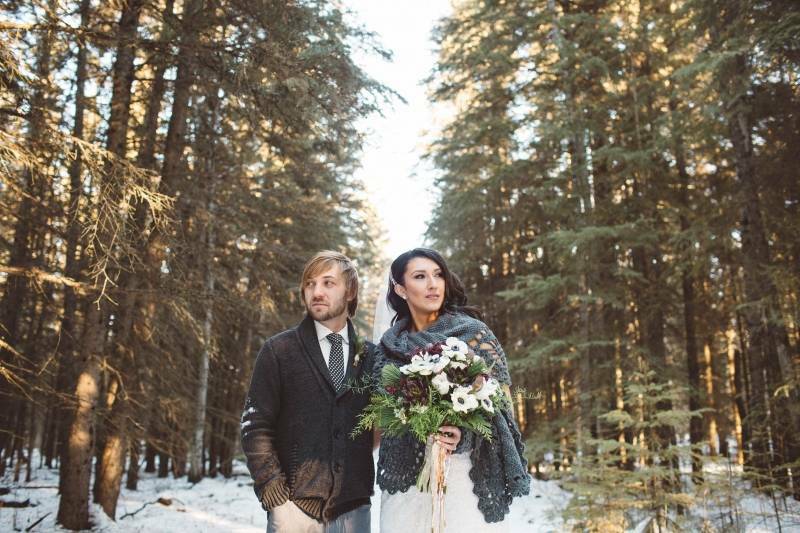 Today we are excited to introduce a new photographer to you, an Edmonton photographer with a wanderlust romantic style who loves adventure and storytelling. We have fallen head over heels in love with her photos and we know you'll love them too. 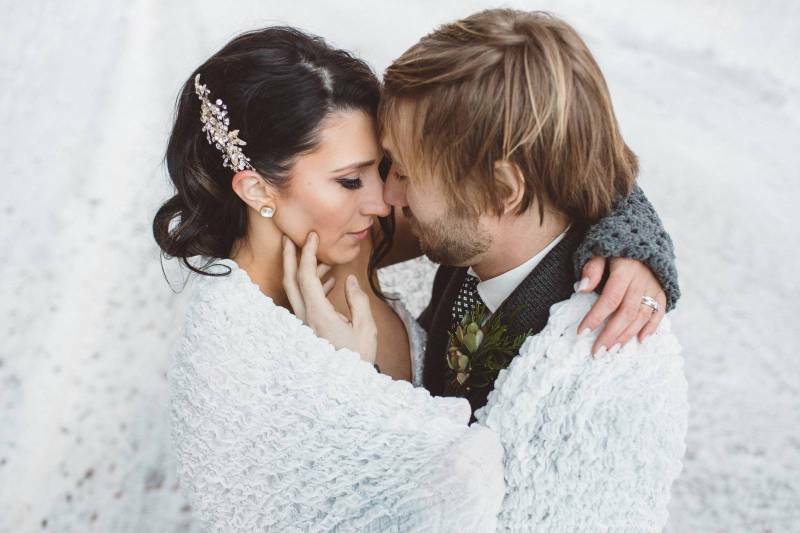 We're chatting with Michelle Larmand Photography and getting first-hand insight into her world and life as a wedding photographer. Don't miss this interview and her gorgeous photos! How did you become a wedding photographer? Tell us a bit about you and your history behind the camera. Since childhood I've had a love of photography. As an adult I began to travel (my other passion) and this grew my love for the art even more. During our travels, I always loved documenting and telling stories through my images. My husband would journal and I would always photograph. Then around 7.5 years ago I was inspired by my own wedding photographer, so when we relocated to St. Paul from Edmonton after getting married I decided it was time to take the leap and start my own business, shooting my first wedding for a family friend. My husband Shane is my second shooter and we are so proud of our team. If there's one thing you would want us to know about you, what is it? I come from a very large French family, I have 42 first cousins from my Mom's side of the family alone and 40+ second cousins. Family reunions are a ton of fun! Wanderlust romantic story telling with a retro twist. I realize that may sound silly so let me break it down. We love adventuring and finding new locations with with our clients, creating scenarios and poses that help create and promote romance, and finally we love retro influences! We also love to be a little quirky and silly! I love spending time just with the bride and groom whether it's right after their ceremony or after their first look. I love the fresh excitement they feel of becoming husband and wife and seeing each other for the first time that day. I enjoy exploring amazing photo locations with them. What are your best tips for brides and grooms about wedding photos? Carve out some time during your day where it is just the two of you with your photographer, try not to worry about what comes next in your agenda, and don't be afraid to get your dress dirty or relax for the camera. Lose yourself a little in the moment because after all it's an incredibly special day, trust your photographer, you chose them for a reason. Also, try to infuse your wedding with your personalities and interests so when you look back at the day it really reflects you as a couple. This will make the day that much more about your story. 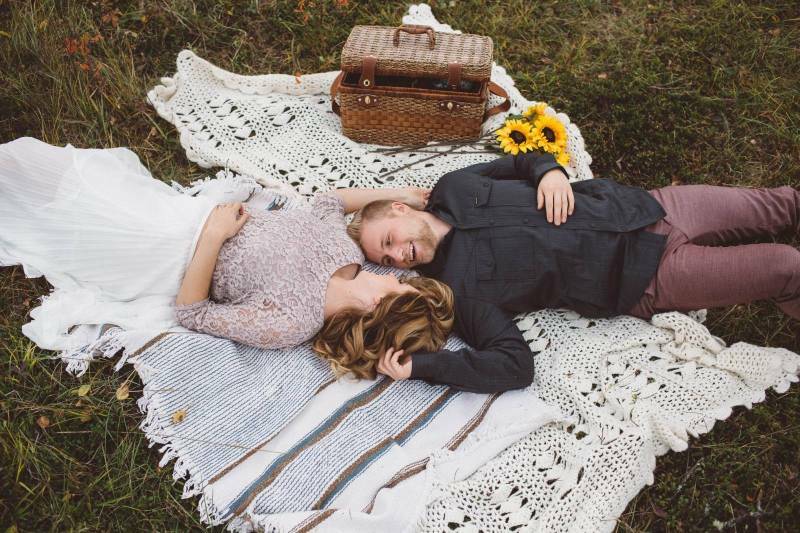 Engagement session - yay or nay? Why? Can you share with us your favourite all time image and why? Oh wow! I could hardly do this! I chose this image to favourite today as it shows the little things we do when in love with someone. The smallest things we do for one another are important as important as the big things. I love how the groom fixes his brides necklace without guidance from myself or the bride just because he notices the small lovely things about her. So tender and lovely. What is your favourite thing about weddings in the Rocky mountains? I personally love the mountains and we try to go there as much as possible. One of our favourite things to do is hiking and exploring and we love to find places that are "off the beaten track". My husband and I actually were engaged in Jasper so the mountains are a reminder of our love story. The mountains are so majestic, there is a sense of wildness to them that I think makes them that much more more romantic, and who can argue with the backdrop! Perfection. Africa! Always been on my bucket list but haven't managed to get there yet as I'd like to go for at least 3 months. What is one thing you cannot live without? And any other funny or quirky things we should know about you? Hmmm maybe wine? Lol! I am kind of a dork - I dig fantasy shows but then on the other hand I also love fashion. I am also always travel planning, when I'm in the air heading to my destination I'm already planning the next trip! Finally my husband, simply put he's the best! 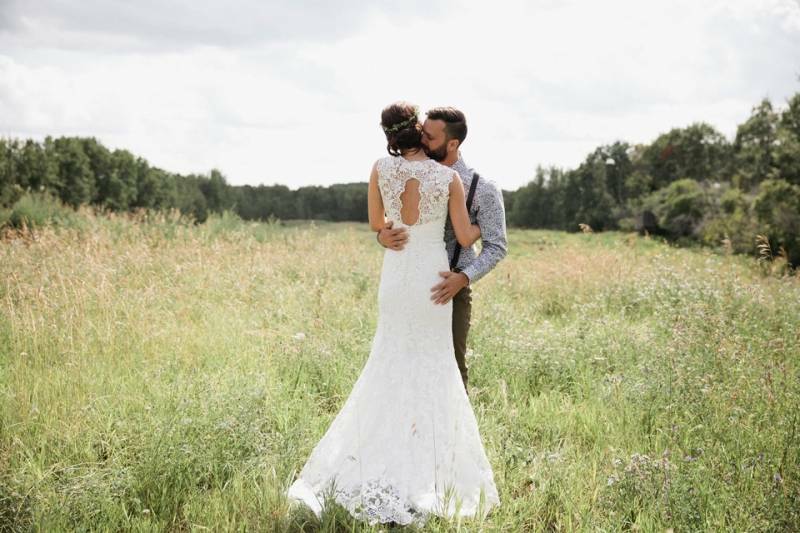 If you are looking for an Edmonton wedding photographer or a Rocky mountain photographer, we definitely recommend checking out Michelle Larmand Photography. 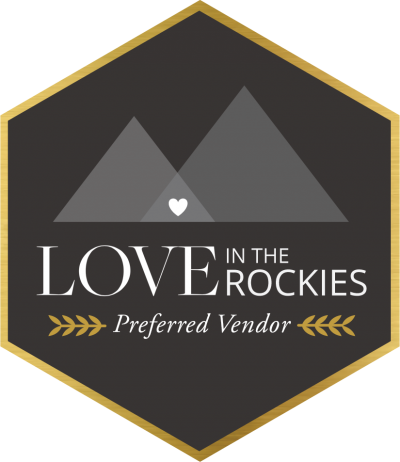 They are an incredibly talented team with the most wonderful personality and beautiful photos and they are a member of our recommended mountain vendors!